This is one of Japan’s leading fishing ports for catching Matsuba crab – the king of taste in San’in in winter – and tuna. 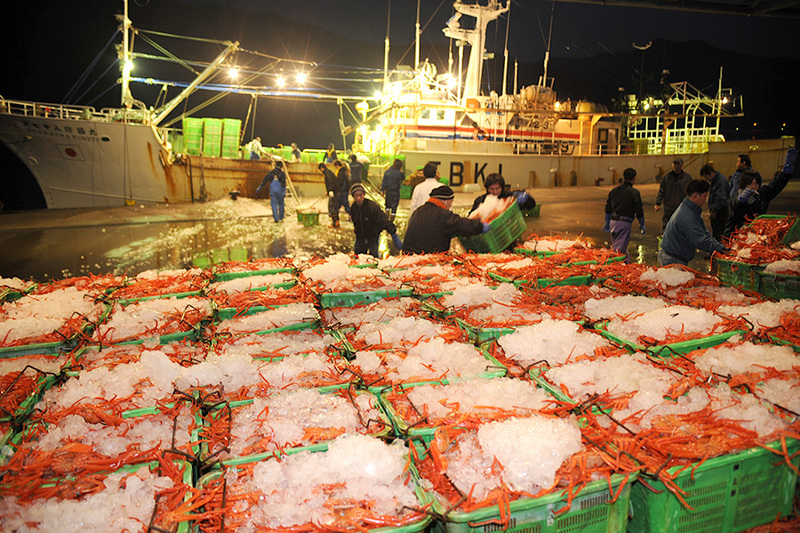 The port currently boasts the leading amount of crab caught in Japan. It accounts for an 80% share of the market in Japan for the processing of red snow crabs. You can buy freshly caught fish at bargain prices in the market. The surrounding area is lined with restaurants where you can eat this fresh seafood. The tour of the fishing port is also very popular. You can enjoy seeing the catches of marine products and the area where auctions/bids are actually done while listening to the Sakaiminato Fish Guide.